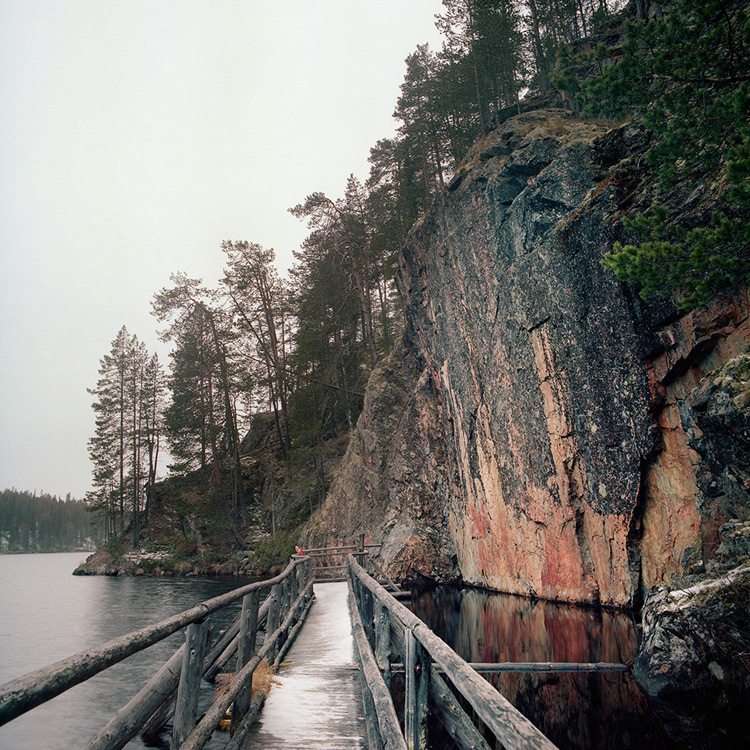 Ismo Luukkonen is a photographer living and working in Turku, Finland. 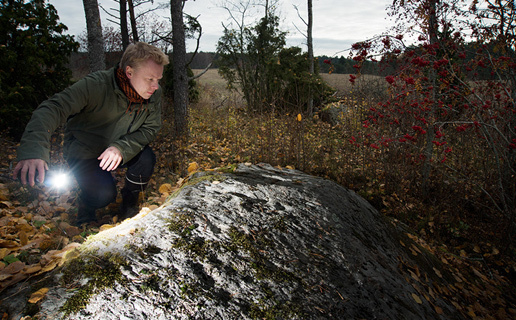 For twenty years he has specialized on photographing rock art and other prehistoric sites, mainly in Finland and Scandinavia. In his work the documentary approach to ancient images and landscapes is joined with thoughts on time, momentariness and eternity. Ismo Luukkonen also works as a senior lecturer of photography in the Arts Academy at the Turku University of Applied Sciences. Some 13,000 years ago the ice that covered the area of present Finland started to melt. About 1,500 years later even the most northern corner of the country was free of ice, and soon after that the first humans - mesolithic hunter-gatherers - arrived in this region. Roughly 7,000 years ago central and south-eastern Finland was an area of dense forest with thousands of lakes. Labyrinthine waterways provided routes through the northern wilderness. The forests and lakes offered a way of life for groups of people. They hunted seals, Eurasian elks and waterfowl, they fished and they gathered. At that time new ideas reached the northern population, ceramics being one example. Fragments of large pots decorated with a comb-like tool are typical artefacts found in the settlements of this time - 7,100 to 4,000 years ago in eastern Finland - a period known today as the Pit-Comb Ware Culture. Some traces of early agriculture have been found from this period, but it did not become common until later in the Stone Age. This is why the era is also called 'subneolithic'. 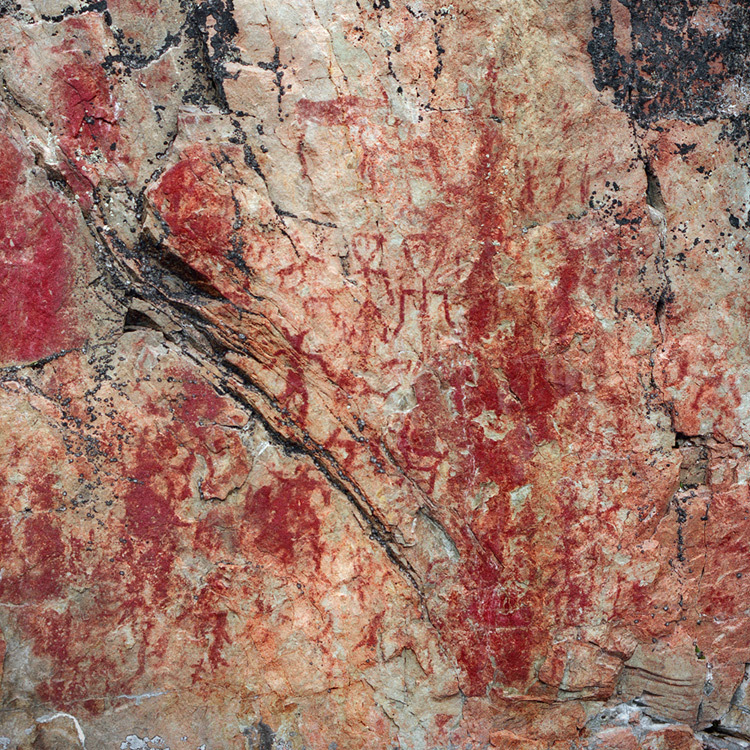 The most apparent legacy of the Pit-Comb Ware people in today's landscape is the rock art. There are over 100 sites with identifiable figures and up to 30 sites with patches of colour that have currently been recorded in Finland. 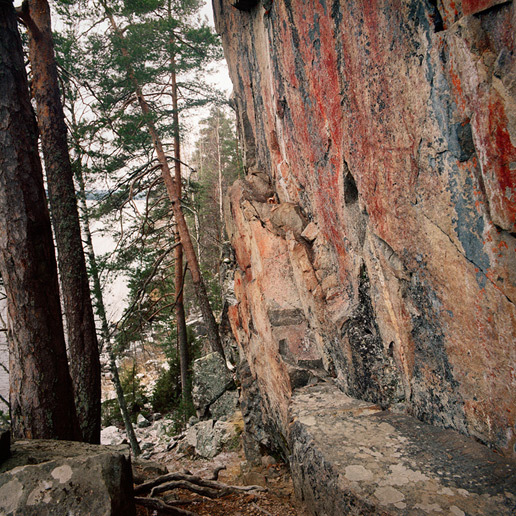 The typical rock painting sites are vertical cliffs rising from the lakes, or large glacial erratics situated close to the shoreline. Often an overhang above the paintings provides extra shelter for the fragile images. Today some of the rock paintings are several meters above the waterline. The water level has changed during the past millenia due to the post-glacial rebound; the rise of land masses that were depressed by the huge weight of ice sheets during the last glacial period, through a process known as isostasy. In many lake systems this caused flooding, until the waters broke new routes, leading to rapid changes in water level. 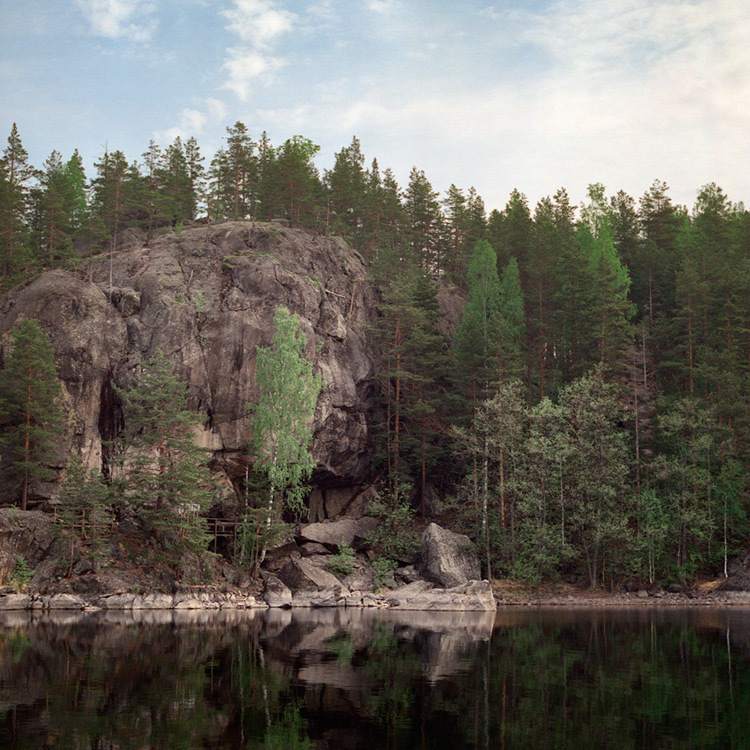 A good example is the formation of the Vuoksi River about 6,000 years ago, when the waters of the lake Saimaa created a new route to the lake Ladoga. 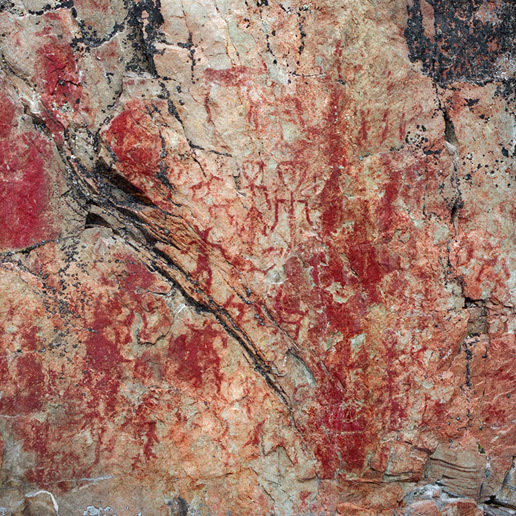 These changes have been used to date the rock paintings and other prehistoric remains. According to the most recent datings the paintings were made between 7,000 and 3,500 years ago (Seitsonen 2005). 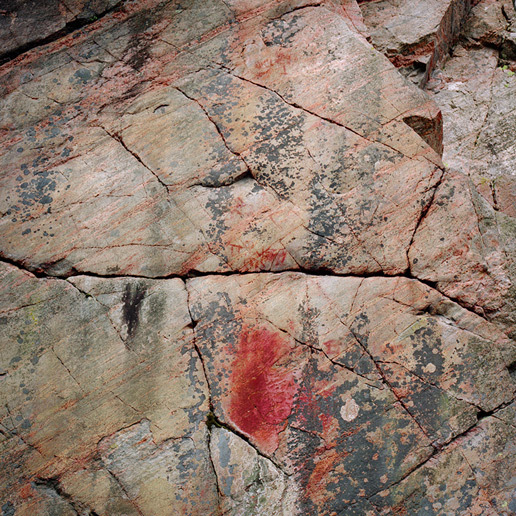 All known prehistoric paintings in Finland are made with red ochre, a colour that is easily available and permanent. Of course the colour is often faded, blurred and covered with lichen, but still the ancient images resist the detrition of time. 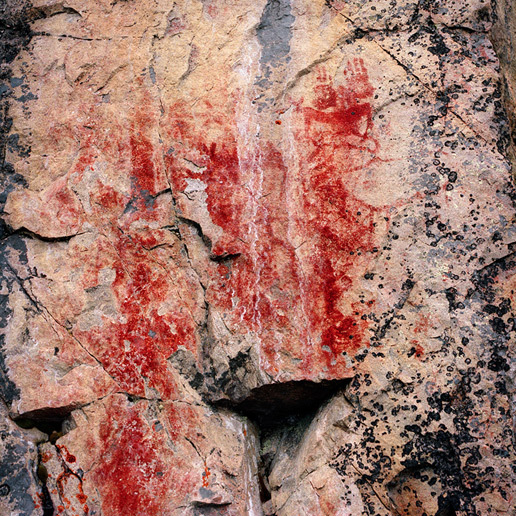 Compared to the other type of prehistoric rock art - rock carvings - the paintings are more fragile and fewer of them have survived over time. While a rock carving site may include thousands of images, the amount of images in rock painting sites is considerably smaller. 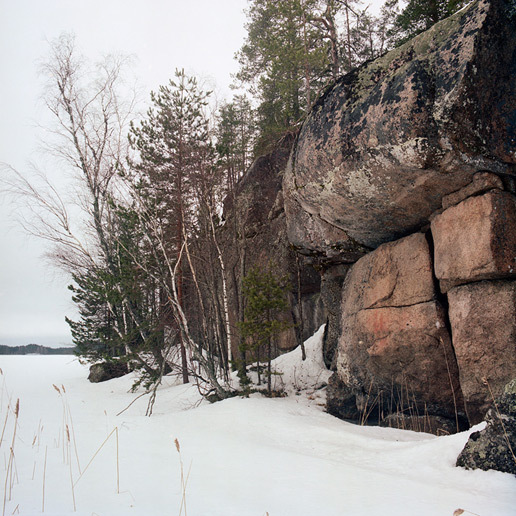 However, no Stone Age rock carvings have been found in Finland, even though large carved panels are found in neighboring countries. 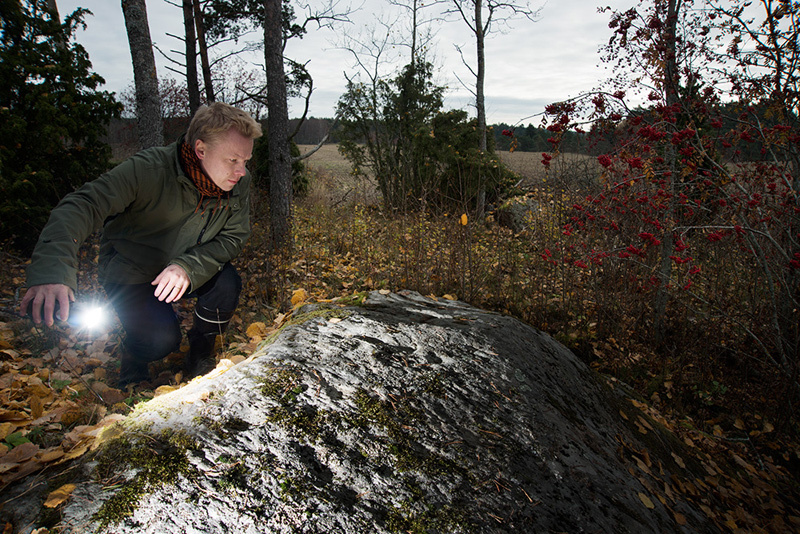 (Gjerde 2010) In southern and eastern Finland there is a large number of cup stones, but they are dated to the late Iron Age or even historic times. 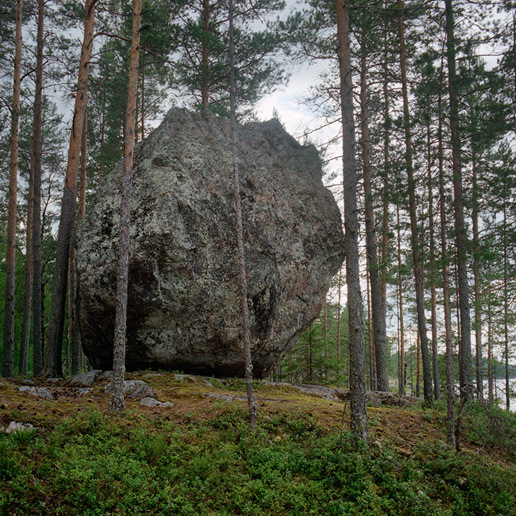 Saraakallio in Laukaa is an adventure of more than 100 figures, many of which are peculiar among the imagery of northern rock art. 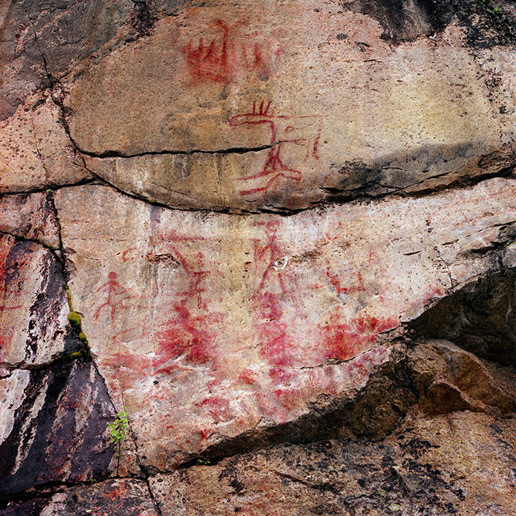 Astuvansalmi in Mikkeli, with about 70 figures, is the best known example of Finnish rock art. It is remarkable by its large and clear figures as well as its well preserved environment. Varikallio, situated far to the north in Suomussalmi also has about 70 figures, some of which have an expressive power rare in the northern rock art. Saraakallio, Astuvansalmi and Varikallio are considered as important 'cult places' where people gathered regularly for thousands of years. But it is not merely the size of the painted panels or the number of figures that make the sites important and specific; the interaction between the ancient paintings and the archetypal environment gives a special feeling to these rock painting sites. They are places where it is possible to sense the presence of an ancient people, both in the marks on the rock and in the environment itself. It seems the rock paintings make the span of time tangible, but in a way where time takes on a different meaning.